Microsoft Corp. is preparing the documentation for filing for a patent on the work I did at Microsoft Research during Summer ’98. The topic is real-time tracking of articulated objects in range image sequences, and the inventors are Nebojsa Jojic and Matthew Turk. 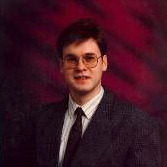 Reviewer, Computer Vsion and Pattern Recongition (CVPR ’98), International Conference on Computer Vision (ICCV ’98), International Conference on Image Processing (ICIP ’98), Asian Conference on Computer Vision (ACCV ’98), etc. Grant awarded by SOROS Fond, 1995.